Directed by Paul Andrejco and based on the familiar North American folksong, I Knew an Old Lady Who Swallowed a Fly tells a story of gluttony, obsession and veterinary gastronomy, wherein a monstrous series of events inevitably blankets the disquieted seaside village of Spudbottom in a strange peace. 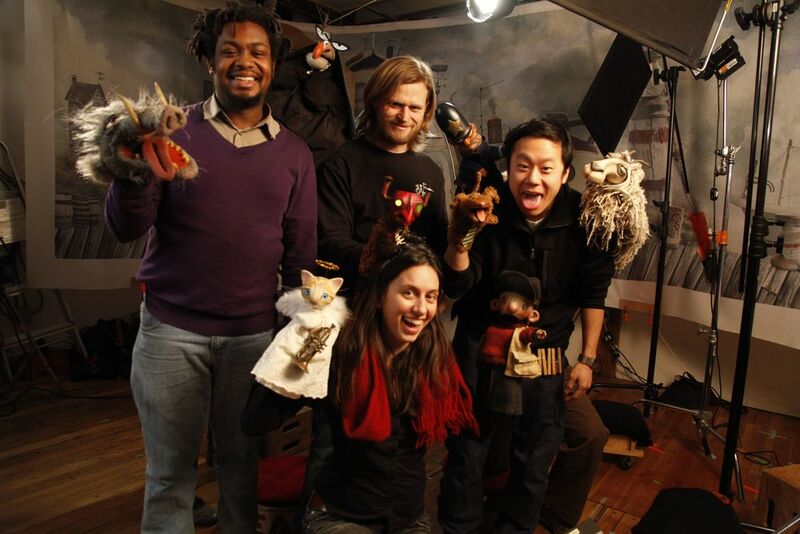 The film features all original designs created by Puppet Heap with music composed by Jeremiah Lockwood. It is also currently featured on BatteryPop, an online network that provides original content for children. The Old Lady eyes a bird with great interest....delicious? Director Paul Andrejco (center) and Producer Megan Bailey (right). Artist Michael Bush painting sculpt of the Goat. Design for the Goat by Paul Andrejco. Creative meeting in the workshop to discuss early prototypes. Artist Tom McLaughlin paints a foam latex cast of the Butcher. Design (right) by Paul Andrejco. Puppeteers Laura Manns and Michael Bush. Design for Newsboy character (left) by Paul Andrejco. 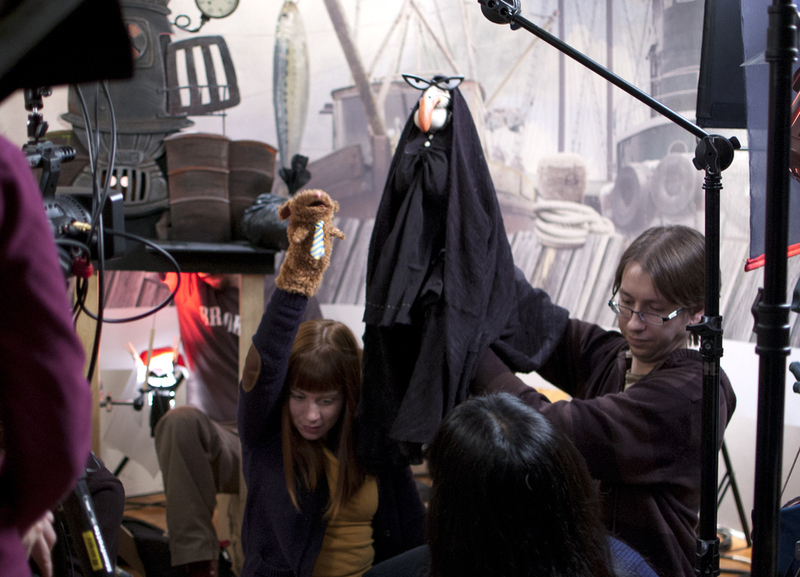 (L to R) Puppeteers Laura Manns, James Godwin, and Lara MacLean. Design for the Wild Boar by Paul Andrejco. (L to R) Megan Bailey, Lara Manns, Michael Bush, James Godwin, Lara Maclean, Paul Andrejco, Peter MacKennan. Film Crew (L to R) Sammy Leonard, Jess Haas, John Shim, Amy Bench. Hand-carved and painted articulated Horse puppet.